A new series of innovative products designed for industrial measuring and image analysis. The new Nikon ECLIPSE LV series includes the ECLIPSE LV150, LV150A (with automated nosepiece) and the ECLIPSE LV100D (episcopic/diascopic illumination) microscopes. 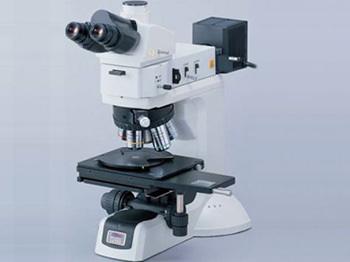 These new microscopes address the need for microscopy measuring solutions at the next level of precision to keep up with higher performance demands in the semiconductor and medical device markets, the rapid development of new materials, and the inspection requirements of components with widely varying dimensions. “The LV series can be custom configured for different sample sizes”.